International Profibus training expert, Andy Verwer has been invited by the Profibus Association of Australia (PAA) to deliver a new training course, Profibus Control System Design in Sydney early June. The Profibus Control System Design course is being publicly offered for the first time in Australia. Verwer will be in Australia to conduct a series of Profibus training courses for the PAA in May 2011. His tour will culminate with a one-day Profibus Control System Design course at the Profibus International Competence Centre (PICC) at Smithfield, Sydney. John Immelman, Chairman of the PAA explains that the Profibus Association offers a range of training courses addressing specific Profibus issues and functionality. The addition of the Control System Design course in their current training programme completes the Profibus learning process. Immelman adds that the new course provides practical instruction on how the knowledge gained through the Certified Installer and Engineering courses can be successfully integrated into control system design. 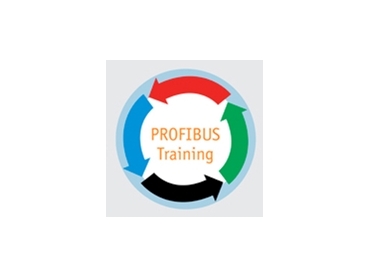 The course is relevant to control system project engineers or IT professionals who have obtained Certified Profibus qualifications and currently have responsibility for control system design. The Control System Design course will take a holistic approach to buses such as AS-i Bus, I/O Bus Link or DeviceNet and how they integrate into the Profibus architecture. These buses are commonly used in manufacturing or process plants to connect discrete components such as relays, switches, actuators and proxies to the control system, and need to operate together with an analogue bus such as Profibus PA.
Profibus is rapidly finding acceptance in all industry applications, and feedback from support providers indicates that problems encountered can often be traced back to the original system design. What is the optimum configuration of communication architectures to derive maximum benefit? What about security breaches through the internet? What are the design considerations for hazardous areas? What configuration and troubleshooting tools are available? How does one use FTD/DTM and EDD technologies for seamless integration? How should PIDs be depicted to offer greatest ease of use and understanding? The Profibus Control System Design course will be held at the Profibus International Competence Centre in Sydney.